Football season is coming to an end. A sad time in our household as it means waiting around for another season to begin. 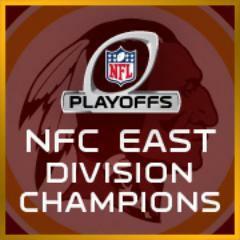 This year my husbands team, Washington Redskins, had a decent year. They made it to the playoffs it was exciting! Then disappointing when they lost. Hopefully it is a road to a better year next year. Despite the fact that the Redskins won’t be playing in the Super Bowl we will still be watching like we do each year. I’m sure I will be rooting for a specific team or maybe the “score” that will win me a little extra cash. Either way I love Super Bowl Sunday. Last year my son was excited and wanted to have a “party”. We did for ourselves, he helped me make the cake and pick out the goodies. I challenge you this year to go outside the box and try something a little different. Why not try Super Sunday the Italian Way – with Michael Angelo’s Gourmet Foods! Check out these Super Bowl Tips! Nothing ties a party together like a creative theme. Whether you keep it football-focused, or try something like an Italian theme, offer food and beverage options that pair well and make a statement. If you go with an Italian theme, pick up a few pre-prepared Michael Angelo’s entrees that you can easily serve to your guests as the main course. Select Italian wine, beer and San Pellegrino for everyone to sip on while enjoying the party. Chocolate Cannoli for dessert would be the perfect ending to the game, even if your team doesn’t win. Turn your home into a football stadium, by creating coasters from astro turf (available at your local hardware store), cutting out football X’s and O’s as drink markers and hanging pom poms from the ceiling. For a gorgeous sporty centerpiece, print a Super Bowl image on high gloss photo paper and glue it around an affordable plastic vase. Simply place white mums inside of the vases, and voila! Create food bars, such as a “Sandwich Bar” or a “Potato Bar” that allow guests to mix and mingle in different areas of the space. Try Michael Angelo’s Sausage, Peppers & Onions as a delicious sandwich option, or go with a classic meatball sub to warm cold winter guests. Don’t skimp on hearty foods, especially if it’s still chilly where you live. In addition to finger foods, your guests will love a few options like authentic Meat Lasagna or Eggplant Parmesan. When it comes to appetizers, try this recipe for Caprese Stackers from the mom behind Michael Angelo’s, Sara. Two vouchers for multi-serve Michael Angelo’s prepared meals – the perfect Super Bowl snack! Disclaimer: I received a Super Sunday the Italian Way Gift Pack. All opinions are my own. You may read more of my disclosure here. My favorite Super Bowl food is hot wings! I love white bean chili. I like Nachos & Guacamole. Nachos with Velveeeta cheese and crumbled sausage. Nothing better than a variety if chips & dips. Chili Cheese Rotel Dip in the Crock Pot with Tostitos and Fritos. yummy! Any kind of dip and chips plus beer. I make these mini meatballs in a sweet & sour pineapple sauce & shrimp stuffed mushrooms that are to die for! nachos Grande piled high!! Love ! Mouth is already watering! Thin crust pepperoni pizza with red peppers. We make a hot chicken wing dip every year! cheese dip and tortilla chips! My favorite game day food is nachos. Chips and dip! Especially if it is clam dip — my favorite! My favorite is the chili cheese dip with tortilla chips! I love order-out pizza with the Big Game. Please accept my entry. Thank you. My favorite is stuffed mushrooms. Thanks. Favorite super bowl food is Nachos! We love Friend Chicken or Pizza… Well sometimes Both! We like Italian nachos and pizza. I am super excited for the Super Bowl & this would be awesome to win. I love velveeta & rotel dip with fritos. Our favorite super bowl food is home made pizza and hot wings! Thanks. Pizza with all the trimmings. Chips and Dip for sure! we love rotelle dip with tortilla chips! We love to have pizza during the Superbowl! Buffalo chicken dip, finger foods. I really dont have one, but Michael Angelo’s foods are delicious. We always make a chilicheese dip that is so delicious! my home made taco soup! With chips, cheese and sour cream! Definitely wings and chips with dip! My husband makes great cheese steaks and I am always asked to make my pico de gallo! Favorite Superbowl Food is NACHOS…YUMMO!!! My favorite superbowl food is t which I didn’t have to slave over. Cake is always my favorite! The chips and various dips served. Wings with blue cheese dressing! popcorn since it’s a SHOW! Summer sausage with cheese and crackers. I love chips and dip when watching the game. Chicken Wing Dip is my favorite! Our favorite superbowl food is queso and chips, guacamole and sliders! My favorite superbowl food is pizza! I love a seven layer bean dip! We get wings and I love making a 7 layer Mexican dip. Chips and onion dip, Thanks! We love to have Nachos! We always buy a three foot long Italian sub. It usually goes by the end of the game, including the ptato and macaroni salad ….. I love a yummy 7 layer dip! My favorite is Buffalo Wings. The spicier the better! I love the Lil Smokies meat snacks. Chile con queso. Thanks for the giveaway. I’d love to try a Superbowl party with Michael Angelo’s!! Awesome! My Sicilian hubby would be too happy! Nachos with all the trimmings and cold beer ! Our favorite is sliders and mexican salsa and cheese dip. I love Frito Pie with lots of chili, cheese, and of course…onions! I love my wife’s 3 bean venison chilli. It is a superbowl must. wings! i make them sweet chipotle style! We usually have dips, any and all kinds of dips and chips my favorite being the oldie but goldie Rotel Cheese Dip! Ruffles potato chips with some kind of dip like french onion. Mmm. so good.. it’s the only time I ever eat it! I have a football family, everyone would love this. My favorite Super Bowl food is Queso!!!! Doritos and melted nacho cheese dip. Chili is our favorite, along with nachos and finger foods! My favorite, my jamacian jerk chicken wings! I love buffalo chicken dip. Tortilla chips with layered bean dip. I’m a huge spinach dip lover…and I like to have it at any party. really like the shibleysmiles site, it is so honest! It wouldn’t be a Super Bowl party without hot wings. We always have chicken wings and I love them! I like to have nachos during the Super Bowl. My favorite is hot chicken wings and spinach dip. Nachos are my favorite super bowl food! I really like spicy chicken wings. Buffalo wings w/ blue cheese, celery and carrots! Chips and salsa hands down! Chicken wings are my favorite Super Bowl food.